Food is fascinating. It embodies so much more than just satisfying our immediate hunger. It is something we all know, we rely on it to live, we need it to survive. Yet, as time has passed we have become further disconnected from the food we eat. These photographs are about looking beyond the obvious at everyday, real, unprocessed food by embracing it’s simplicity by emphasizing the color, shape, and form. Paulette Phlipot graduated with honors from the Western Academy of Photography in Victoria, BC Canada. She is an award-winning culinary photographer. She was the founding photo editor for Teton Family Magazine for 5 years. She is currently the Food Editor for BigLife Magazine. Upon graduation from photography school, she received the top Provincial and the top National awards of the Professional Photographers of Canada and Fujifilm. 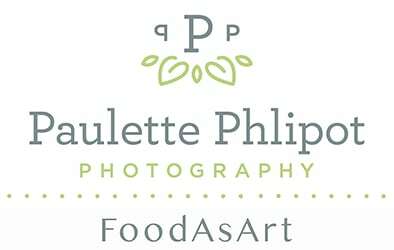 Paulette is a recipient of the IACP (International Association of Culinary Professionals) Best of Show Photography Award. 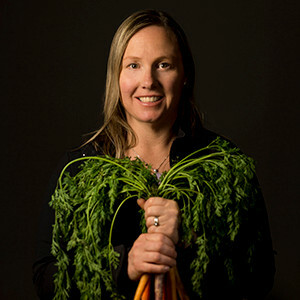 When Paulette is not photographing the flavors and essence of a place you can find her at home in the kitchen making nourishing food for her family, visiting local farms or out enjoying the wonders of nature.